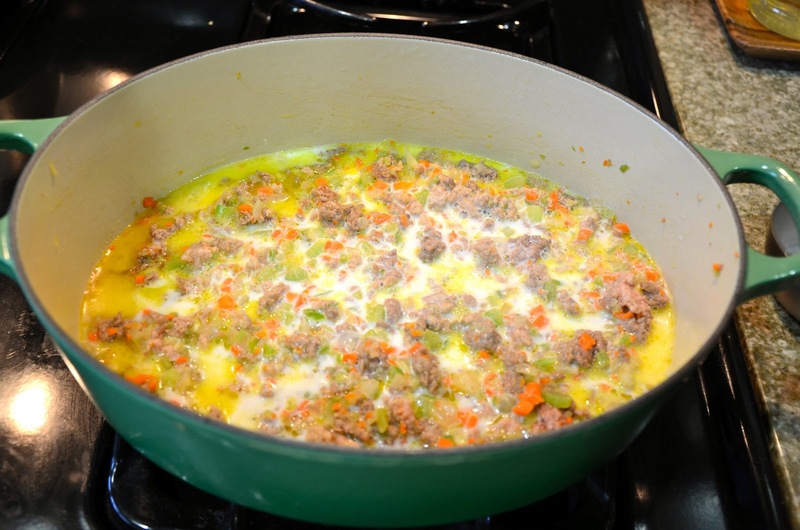 We have mentioned our cookbook Italian grandmother, Marcella Hazan, in previous pasta posts. It turns out that Marcella, as kindly as she is (or at least, the way she is in the image we have created of her while we cook from her recipes) can be a bit of a tyrant when it comes to pasta shape choice. We recently made her amatriciana sauce (tomato sauce with pancetta and pepper) and she chastised us for not using bucatini. Yes, from the pages of her cookbook, she chastised us. And when we finally decided to make bolognese sauce she was not pleased that we didn't serve it over homemade tagliatelle - according to Marcella, "there is no more perfect union in all gastronomy." However, our choice of dry rigatoni was given a nod as a possible second choice; at least we didn't use spaghetti, since she claims that despite "the popularity of the dish in the United Kingdom and countries of the Commonwealth, meat sauce in Bologna is never served over spaghetti." Oh well. I guess if you're going to claim someone as your Italian grandmother, and especially if that someone is basically responsible for introducing Americans to Italian cooking, you have to be prepared to accept a little bit of stubbornness when it comes to cooking. Anyway, back to the dish. 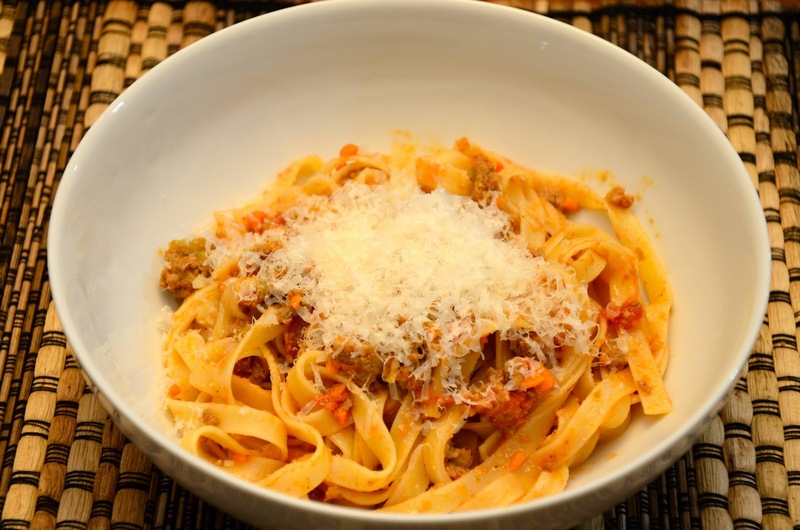 Bolognese sauce, whether served over fresh tagliatelle, boxed rigatoni, or even (gasp!) spaghetti, has always been one of my favorite meals. It's what my mom always made for me the first night I got home for a vacation from college. It's what I always ordered in airports or train stations when I was traveling alone in Europe. It's hearty, comforting, familiar, and delicious. So it was about time we made it. It's not labor intensive, but it is time intensive - you need to let the sauce simmer for at least three hours. It's the perfect thing to start up on a cold weekend in the late afternoon, when the sun is already disappearing and you just want to sit around the house and occasionally get up to stir a simmering pot of sauce. Melt the butter with the oil in a large pot over medium heat (an enameled cast iron pot is best), then add the onion and cook until it is soft. 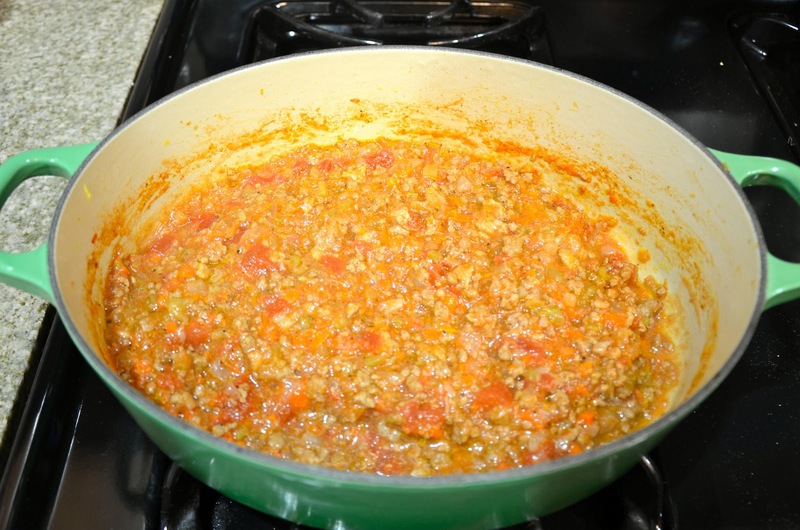 Add the celery and carrot and cook for about two minutes. Add the beef and pork and season with salt and pepper. Cook until the meat is cooked through (about 10 minutes). Add the milk and cook, stirring frequently, until the milk has nearly all evaporated. Add the pinch of nutmeg, stir, then add the wine and cook until it too has evaporated. Add the tomatoes and stir. When the sauce begins to simmer, turn the heat down to the barest simmer (you should see the occasional bubble breaking through the surface). Cook, uncovered, for at least three hours, stirring occasionally. 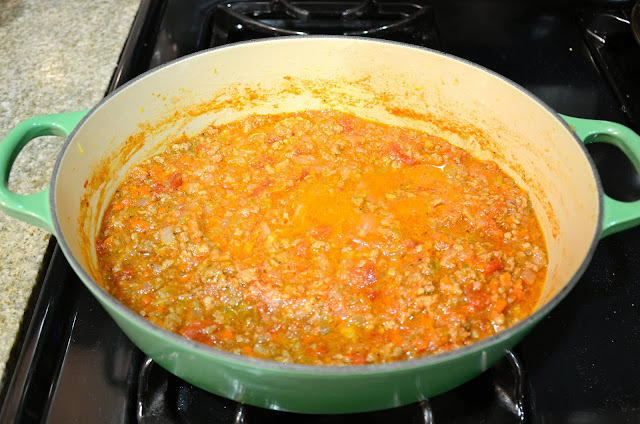 If the sauce gets dried out, you can add a half a cup of water when necessary, but make sure that it has all cooked out before you serve the sauce. Before you serve, toss the pasta of your choice with a little bit of butter, and top with parmesan cheese. Looks delish! 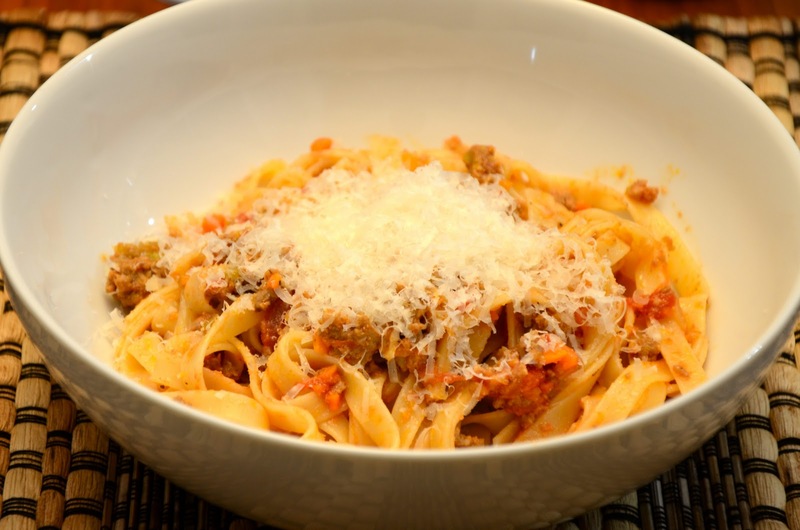 Once you make homemade pasta it is hard to go back to the dark (dried) side!